kept at a comfortable length. Bathe them with specialist shampoos specific to their coat and skin condition. De-mat and brush their fur through. Clip/trim their coat to your desired style/breed standard. 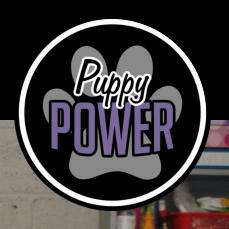 PUPPY POWER TRAINING have joined forces with Dog Groomer Claudia at Tidy Paws to Go. and an additional workstation has been put in place to cater for the additional clients we are now bringing in. I would love to help you and your dog, so please feel free to give me a call to discuss your needs. Claudia at Tidy Paws to Go. the additional clients we are now bringing in.